Zoo Tycoon is back! Does it live up to the rest of the franchise? or should it have remained extinct? Zoo Tycoon is a name that carries a fair bit of nostalgia for me. Being a young PC gamer, Microsoft’s management simulation was one of my favorites. When I heard of this reboot of the franchise, I was immediately excited. I was unsure how a game like this would end up after being away for so long and jumping platforms. 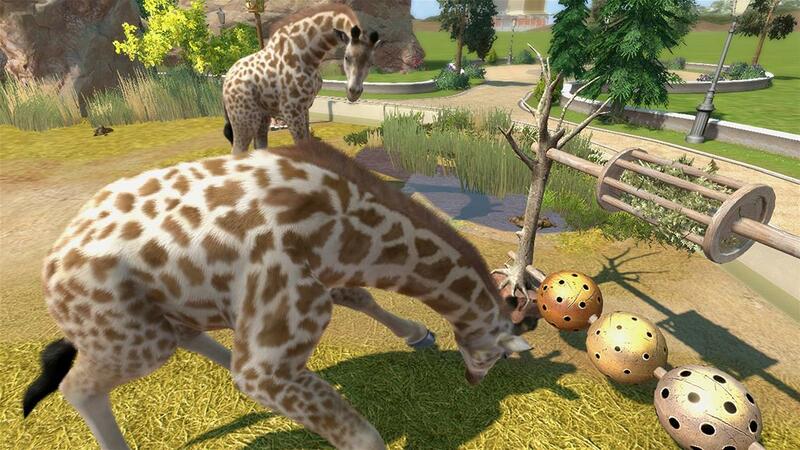 But, despite some missteps, Zoo Tycoon succeeds at bringing back my childhood gaming memories, and this time, in HD. The animals are absolutely phenomenal looking. Individual strands of fur can be seen, and the way they move around and interact with guests is varied and unique. Not only that, but each animal has a multiple variations to choose from, each being as detailed as the next. This is really no surprise from Frontier Developments, developers of Kinectamals. 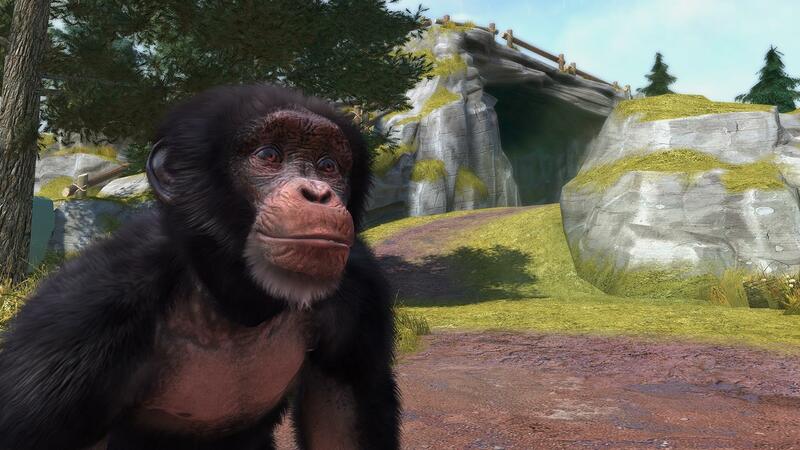 The truly spectacular visual work is aided with authentic animal sounds as well, and to experience all of this close up, you can enter a picture mode to take some photos of your favorite creatures. There are two ways to interact with the animals you own. 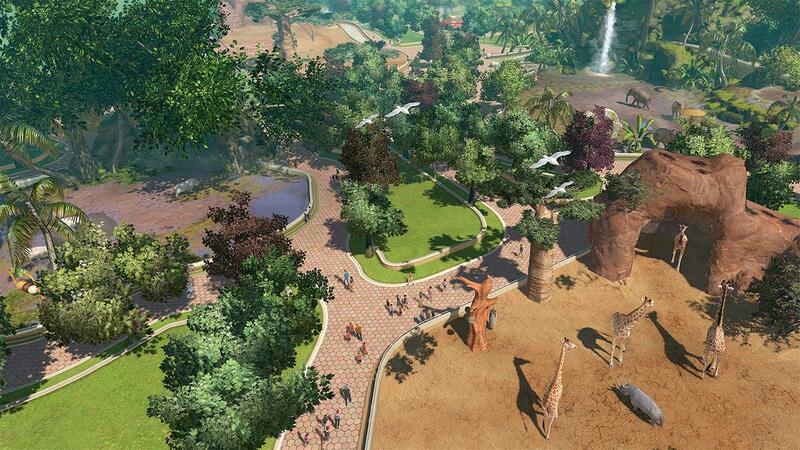 There is a classic overhead view, giving you a broad look at your Zoo, and then there is 3rd person zoo keeper mode, replacing the first person view from Zoo Tycoon 2. While the overhead camera is helpful and useful, the third person view is not. In Zoo Tycoon 2, you could enter the exhibits and then feed, or clean up after the animals. This new third person mode, lets you walk around the exhibit and only interact with the animals if you built a specific add-on to do so. These interactive additions are very superficial and attempt to make use of the Kinect, but cleaning the animals with hoses and feeding them is better done with a controller. On top of that, if you place the additions within the exhibit, the animals will automatically eat and clean themselves, so the point of doing it yourself is made irrelevant and time wasting. However, I did find myself laughing in amaze when the animals would mimic my face almost perfectly in the sensory enhancement addition. The 3rd person view also is a more ineffective way of doing everything. If you want to edit an exhibit on the other side of the map, you could either zig-zag around guests and through the winding roads in a zoo buggy, or you could just move your analog stick over to where you need to go. Look, I get what Frontier was trying to do, in fact, if they made a compelling reason for playing in 3rd person, such as interacting with concessions, or talking to guests and employees then I would have been all for it, but they just didn’t do that. It feels unfinished and underdeveloped. The overhead camera is much preferred but still not perfect, especially when navigating through menus. I found general maneuvering such as selecting exhibits or animals to be fine. Placing any building is easy to rotate and is accompanied by a neat dropping animation. However, when you have to dig through menu upon menu trying to accomplish more specific tasks such as assigning an animal breeder to a certain exhibit, there are some issues. Also, and this is one of the most frustrating mechanics in the entire game, to add just about anything, you must research it. What is wrong with this? Well, each time you research something, it spends about a minute doing so, and you can only research one item at a time. I would not mind, but this has to be done for everything in the game. It is a huge waste of time and I wonder why it is so heavily implemented. As for actual game modes, there are four: Tutorial, Campaign, Challenge, and Freeform. 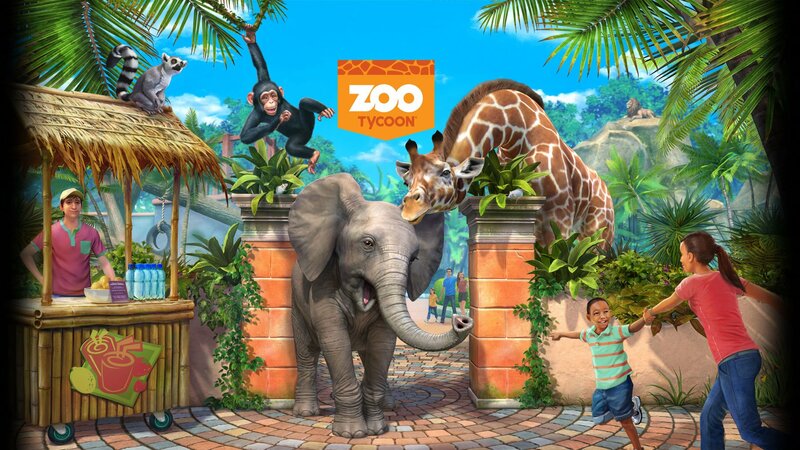 Tutorial is just as it sounds, in the course of 10 stages, you will be taught the basics and advanced skills of Zoo Tycoon. Freeform, which is an unlimited recourse game type, can entertain you for a while, but without any challenge it is unlikely you will be going back to it. The two strongest modes are by far Challenge and Campaign which will offer you different variations of the same experience. The main difference between Challenge and Campaign is that, while Challenge drops you off with a blank slate and limited funds and then tells you to build, Campaign places you in a semi-built zoo and has you complete tasks before the timer runs out. Once a Campaign is completed, you are allowed to continue onward just like you would in Challenge mode. Overall, I found that the randomness of the tasks and zoo layouts kept things fresh, and challenge mode stays mostly the same after the first time you play it. To make things even better, both of these modes, along with Freeform can be played cooperatively with you and up to three friends. 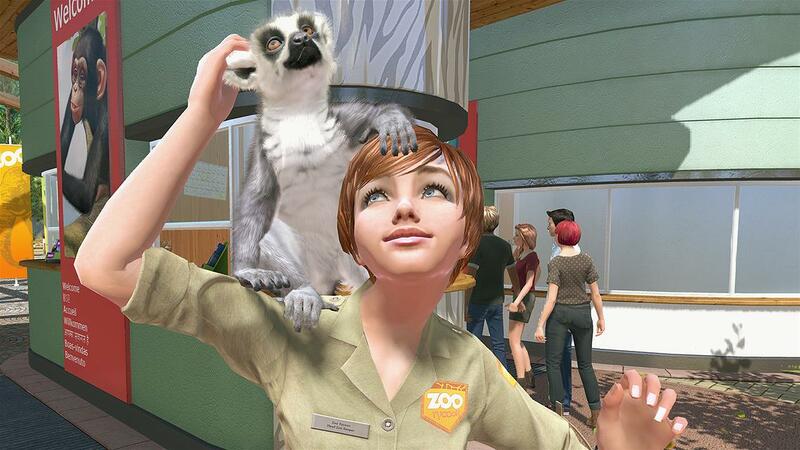 I enjoyed my experience with Zoo Tycoon. While it was not the same as my encounters with the originals, my opinion of the franchise has not fallen. In fact, this game has only reinvigorated my love for this childhood franchise, and now that it exists in the modern era of gaming, I will most likely go back to it often. Despite, its many blatant flaws, this is a fun time nonetheless, and for those looking for a management game with a heavy focus on animals, this may be the right fit. Plus who can deny those Chimpanzees!